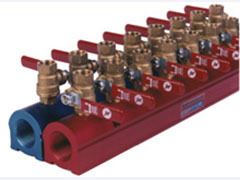 Single or parallel designs and various port configurations provide very compact overall sizes allowing use in restricted areas. 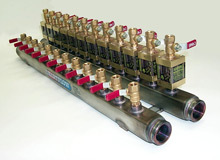 Single or parallel manifolds are 100% leak tested in standard or custom configurations. 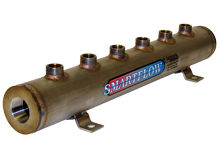 Compressed port spacing on Duoflow Aluminum Manifolds provides smaller footprint for mold-mounting to support SMED implementation. 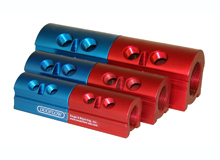 High Temperature molding applications are supported with 450°F/232°C and 450psi/31bar operating limits.